As the silence gradually gets filled by creeping and submerged ambient sounds, and as a bright divine-like light slowly emerges in a atmospheric monochrome world surrounded by black silhouettes, you know Hero of Many by Czech-developer Trickster Arts isn’t your ordinary action-adventure game. Without further ado, and followed by a simple, wordless and very powerful opening-cutscene, the player is introduced to the charming world of Hero of Many. The simplicity of the game experienced in the first few minutes of gameplay is stunning – yet genius and immersive. The player takes the role as a nameless and thus anonymous (this aspect is very interesting upon analyzing the game’s story!) 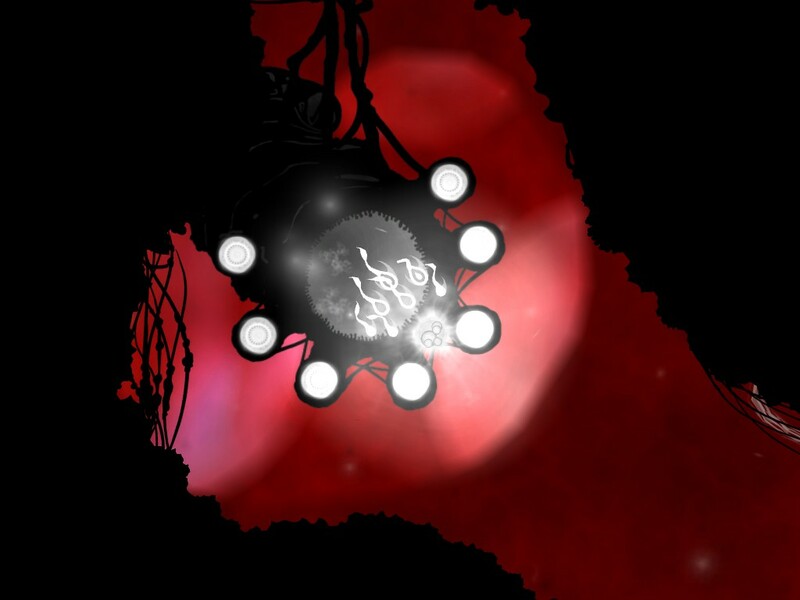 orb-like microorganism on a quest to defeat lethal black counterparts whilst rescuing as many friends as possible. 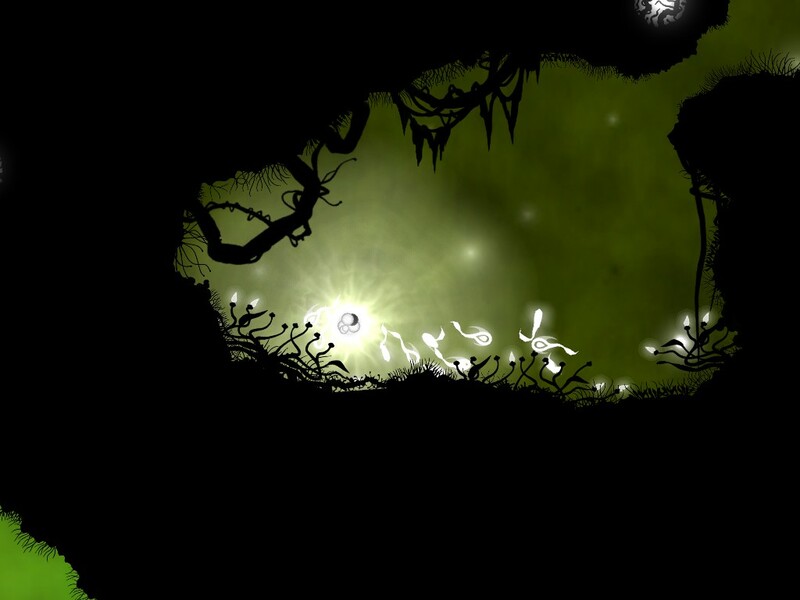 The silhouettes – seemingly inspired by games like Limbo – is an extremely detailed world-design (despite the lack of colours and depth) which manages to charm and engross the player. In good accordance with the wordless story, there is no way of telling which way is the correct way through any of the 26 different maze-like maps. 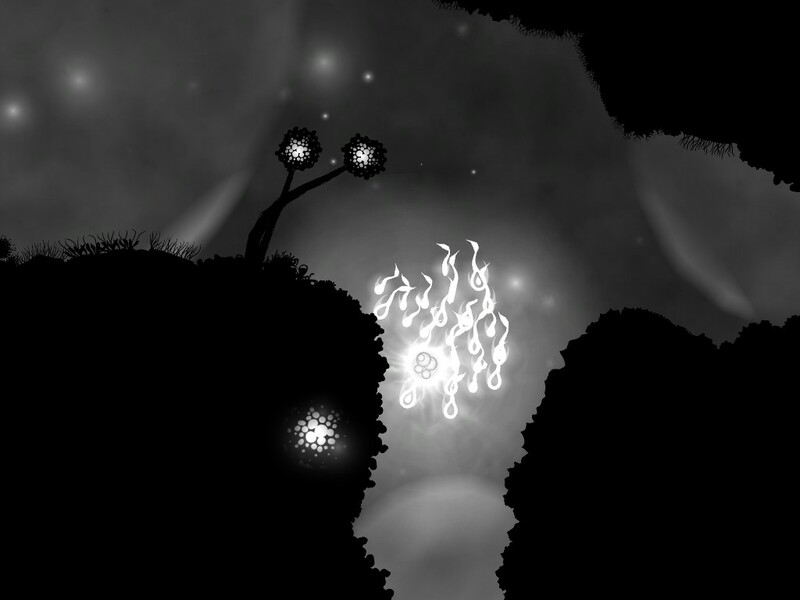 Players may only navigate using their memory, or by the guidance of carefully placed lanterns which gets activated once passed. However, as there is no time limit, exploration immediately becomes the natural first priority. By exploring all caves and corridors the player furthermore ensures to find close-to-all friends – the more friends you collect, the stronger (and exposed) you become. Whilst the environment may appear peaceful and to a certain degree divine with the ambient sounds and bright light, dangers will suddenly emerge and instantly turn the gameplay into a matter of surviving and guiding your friends wisely and efficiently. Approaching enemies may moreover be done in several ways – a full-scale attack or slowly by luring and taking them out one by one or in smaller groups and thus decrease own losses. However, whilst the initial attack may be launched as the player pleases, the actual battle is automatic and cannot be controlled by the player. 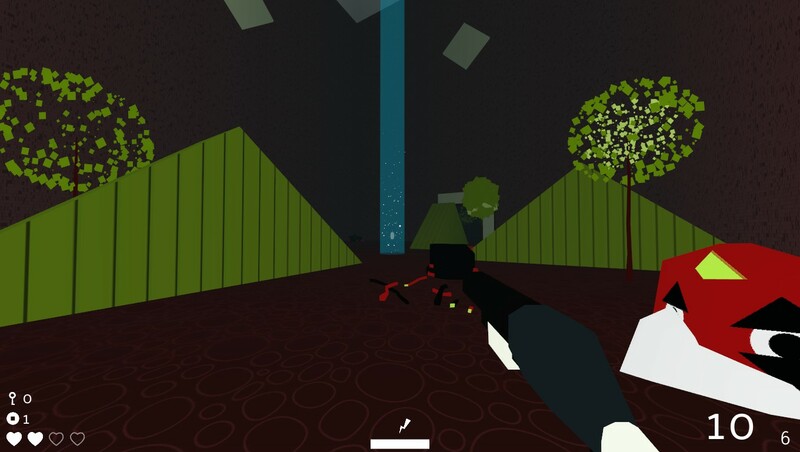 The background colour and enemy-force gradually changes and advances as the player progresses through the maps. A very impressive aspect to Hero of Many is the dynamic soundtrack – especially considering the fact that it is a ported-game (something which only the initial interface hints, by the way). In terms of quality, the music is comparable to several high-budget titles and follows the gameplay in perfect order – all from soothing and melodic to intense and motivational battle-music. However, beyond exploration and semi-automatic battles, the gameplay is somewhat limited as the puzzles presented are extremely simple and straightforward. Instead it becomes a question of keeping as many friends alive by timing the attacks accordingly and exploring everything. 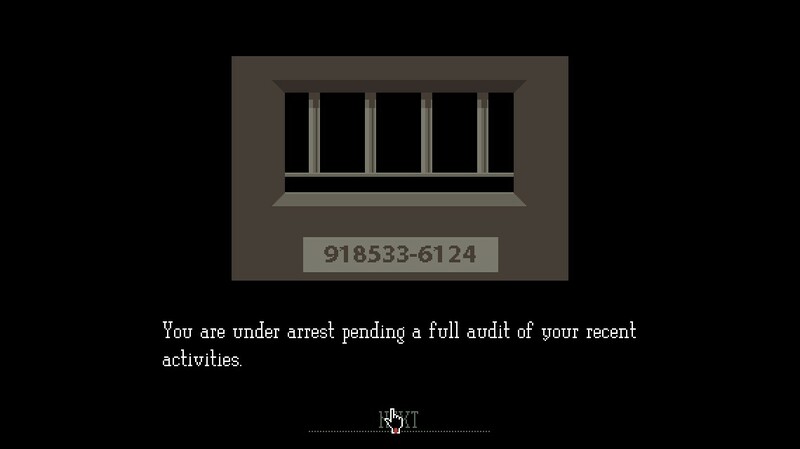 This is a minor set-back, but the immersive atmosphere mixed with the great soundtrack makes up for the lack of game mechanics – Hero of Many essentially becomes a story which the player writes and interprets in their own, unique way. Exploration has several positive effects beyond increasing your army of friends – for instance, special berries (often hidden in deserted areas) may be eaten to increase your friends’ health and strength. Hero of Many is an atmospheric-action adventure set in a deep undersea and monochrome world with an immersive design. Packed with friends and foes, exploration and survival becomes a natural aspect of the game, and without words or back-story, the player is allowed and encouraged to create their own story and follow their own paths. As a seasoned gamer, I usually approach games with a clear assumption and expectation that I can complete them somewhat straightforward. This illusion was completely shattered and humiliated after just one minute in the fast-paced and unforgiving world of Velocibox. The amount of deaths was nearly proportional with the amount of seconds played, and after just ten minutes I seriously questioned my abilities to even reach level two, let alone complete the game in level eight. 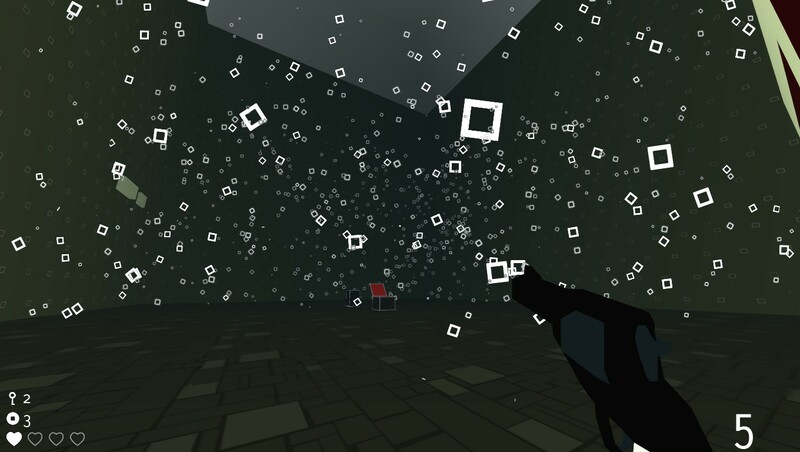 Introducing and completely reforming the endless-running genre, Velocibox invites the player to a very high-paced game with a constant momentum where dodging and twitching once again becomes crucial for survival. 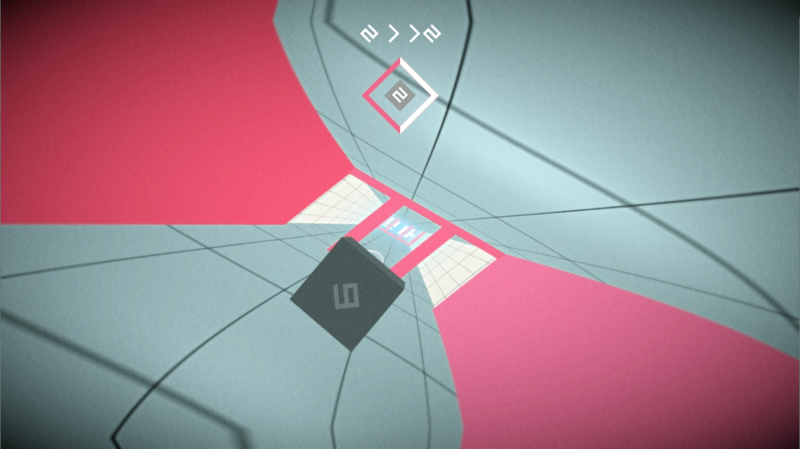 Minimalistic and very bright colours welcomes the player upon loading the game, but after a quick tutorial, the aforementioned bright and welcoming colours show their real face together with the controls and game speed. All four walls may be utilized in the hunt for boxes and never ending struggle of survival. The endless-running genre has been around for ages, but recently experienced its renaissance through iOS and Android games such as Temple Run and Subway Surfers in the previous years. Though, while they may share the same rouge-like elements (no pausing or resetting), then Velocibox is very unique due to the controls and graphics. Unlike most other endless-runners, you are allowed to utilize the ceiling and walls (in fact, you are more or less required to do so). This means that all obstacles may be completed in different ways – all depending on the next obstacle, certain approaches may be preferred. And with 70 different patterns there are a lot of options – and a lot of frustration when your plan fails miserably. 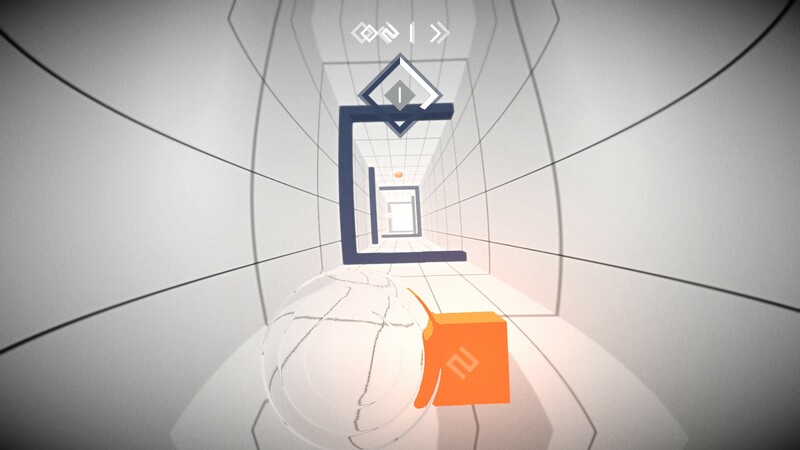 Additionally, the cubes needed to advance to the next level are rarely placed in line; thus forcing the player to hunt these while spinning and dodging obstacles. 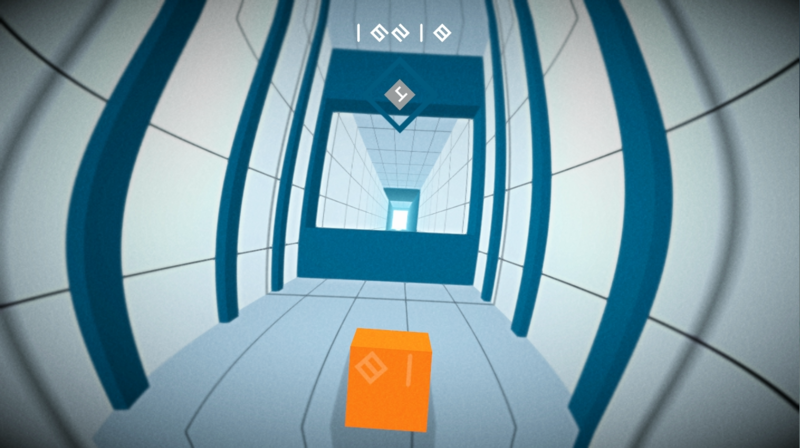 The player is required to collect six cubes to advance to the next level, though these may be collected when the player see fit – the level will continue to run until the player catches six cubes or dies. Your score, however, is depending on how fast and how many boxes are collected – the more cubes as fast as possible, the more points. The player is thus encouraged to take chances for a higher score – and with integrated Steam Leaderboards, this becomes very relevant. 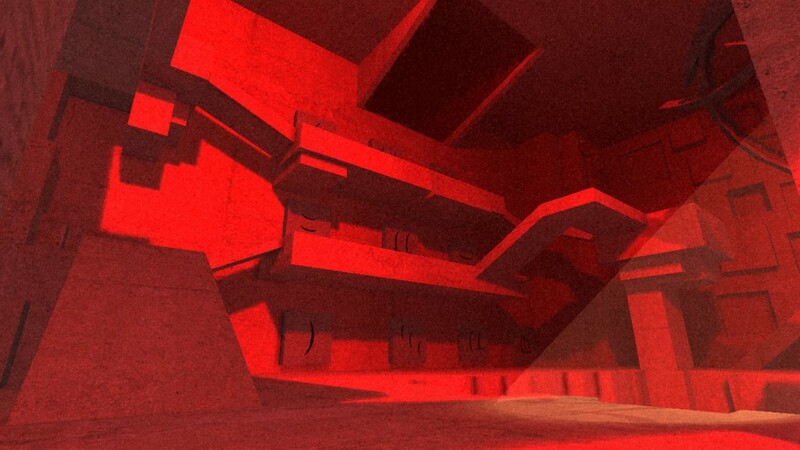 The different colours add a very interesting – and challenging – level design. Mastering the controls while comprehending the camera movement and constant speed is a strong indicator that Velocibox indeed is a skill-based game – somewhat similar to games like Super Hexagon. It requires fast reflexes and a seemingly impossible overview – though, with enough tries the player learns how to approach the individual obstacles and master the controls properly. However, once the player finally advances to the next level, the aforementioned colours turn out to be a real enemy; because while the controls are essentially the same, the drastic change in colours means a loss of the vague overview. Similar, each new level introduces new obstacles – something which ultimately means the player is forced to slowly progress as they master each level better and better. The better they master the first level, the easier they may approach the second, and so forth. Each new level introduces new – and at times unforgiving – obstacles. Velocibox is an extremely challenging and fast-paced game with minimalistic graphics and a very intriguing gameplay. Advancing through the levels requires patience and a great amount of concentration – and despite the thousands of tries, the game still remains fun, entertaining and extremely challenging. The key is undeniably to master your reflexes and understanding the art of re-orientation, and doing so successfully is highly rewarding. Don’t be put off by the first many failed attempts, but rather try and experience the satisfaction by reaching level two (and three, and four, and…) . Good luck! A press copy was kindly provided by the developer for reviewing purposes. Time for breakfast; Toast Time! Breakfast is usually an extremely traditional and monotonous ritual which most of us performs every morning. A physics-based and breakfast-themed game, on the other hand, is soon something completely else and, admittedly, very unusual. 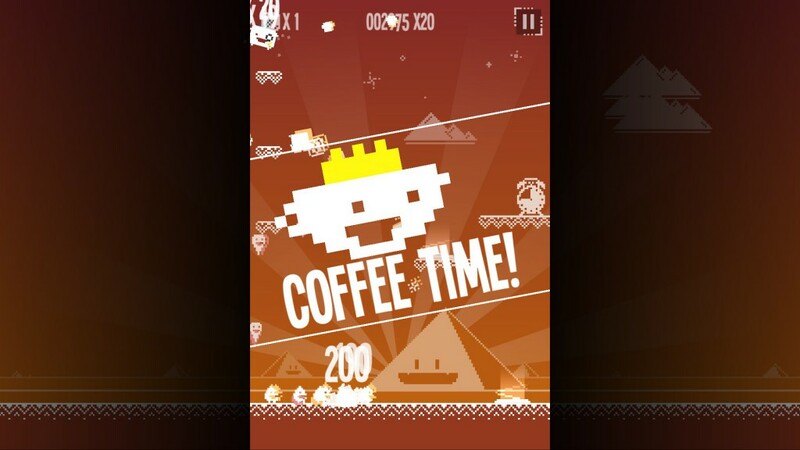 Yet that is exactly what Toast Time by British developer Force Of Habit is – a game initially created for Android, but recently ported to the PC and released on Steam. Enter the high-paced, overcaffeinated and nonsensical world of Toast Time as the toast Terry (short for Toast Ejecting Recoil and Reload sYstem) with one, clear mission to complete: Secure your alarm clock and prevent the theft of your breakfast-time from unidentifiable ground- and air enemies by using various bread products such as baguettes, bread pudding or croutons as firearms. Terry shoots plain white toast-slices, but once a box is picked up, his weapon (or, rather, bread product) changes temporarily allowing for a more tactical approach as every weapon is unique and has a unique effect. 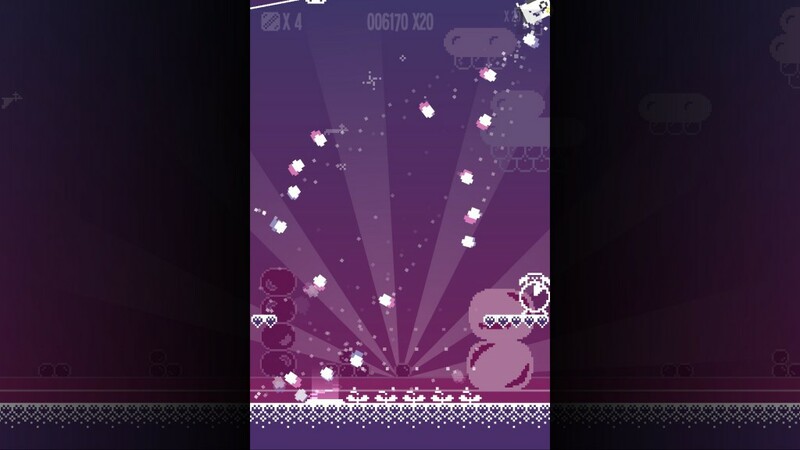 Alternatively, the player may shoot Terry into the air and slam him to the ground – performing an amazing belly flop. This mechanism is together with the ton of hats and customisations yet another indication that Toast Time indeed is a game made with humour. Toast Time introduces some very unique – and at times frustration – physics while controlling Terry. 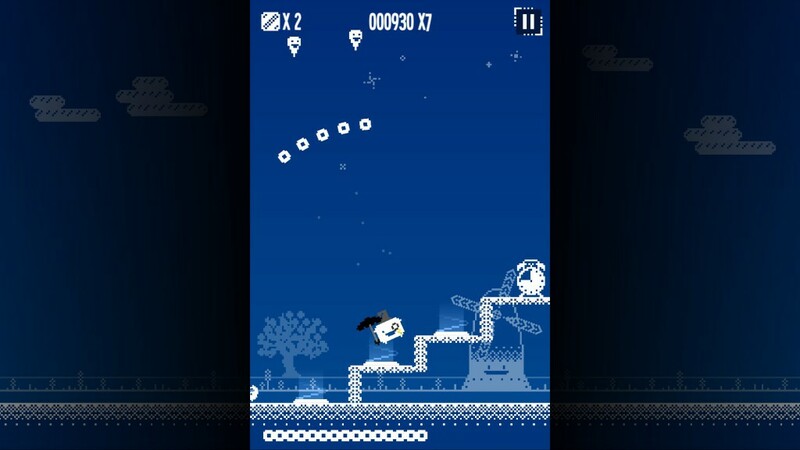 Though, the player quickly finds that Terry, as any other toast, is bound by gravity and is essentially unable to move on his own. The player must thus use the energy provided by the projectiles to control Terry as he moves in the opposite direction of the projectiles. This ultimately means that not only does the player need to take out all enemies before they reach the alarm clock, but they also have to aim carefully to ensure Terry remains the correct places to defend from the next group of enemies – something which furthermore drastically increases the game speed due to the increased amount of clicking. Aiming carefully while keeping momentum is moreover crucial in order to rack up a high combo and thus increase your final score and rating. 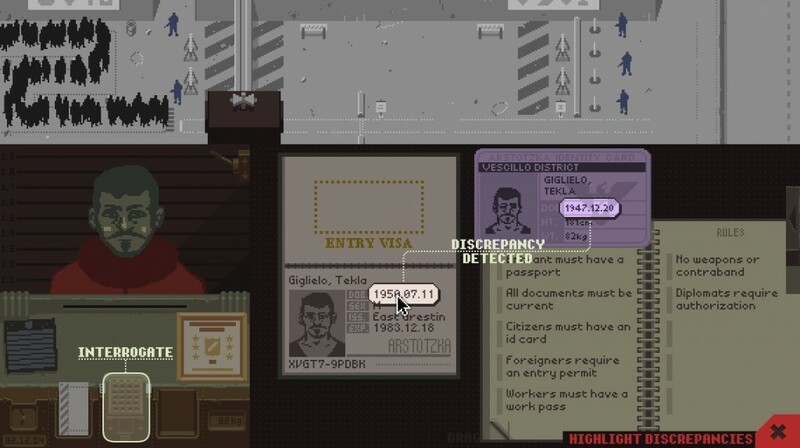 The game does not hide the obvious fact that it is a ported Android/iOS-game, but the gameplay remains unaffected and does prove a nice challenge. The special physics and controls also means that some maps require quite some coordination in order to defend them most efficiently. The player will also find that certain locations combined with specific weapons on several maps are significantly better than others – i.e. sliding on the ground back and forth or staying in a top corner. The aforementioned baguette, for instance, may be shot into the ground and effectively create a temporarily barrier. 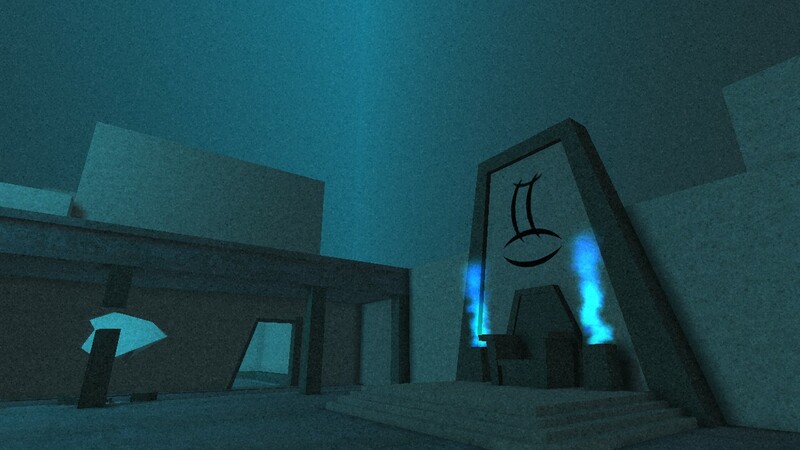 The various maps are furthermore decently varied with an increasing difficulty level, which means the player will find themselves redoing several of the levels to secure three stars on each. Toast Time does not hide the fact that it’s a ported game – as clearly seen in the screenshots and trailer. And while certain elements in the game (especially the interface) are heavily influenced by this, then the game remains attractive to PC-players as well due to the challenging and unique gameplay throughout more than 50 levels. The smaller screen is essentially not a problem, nor is the mouse control as both effectively adds to the gaming experience. Though players should be aware that there is no option to change this. The importance of coffee is clear in Toast Time. We have seen a large and exponentially growing amount of iOS- and Android-games being ported to other platforms such as Steam throughout the past few years – many with mixed to negative results. The process of re-creating a game to another platform is troublesome as many elements – all from interfaces to controls – needs to be re-evaluated and checked accordingly. Most importantly, and regardless of the ported platform, the game needs to provide entertainment and challenges for longer than the average smartphone app-session of around 13 minutes to both justify the new platform and often increased price. 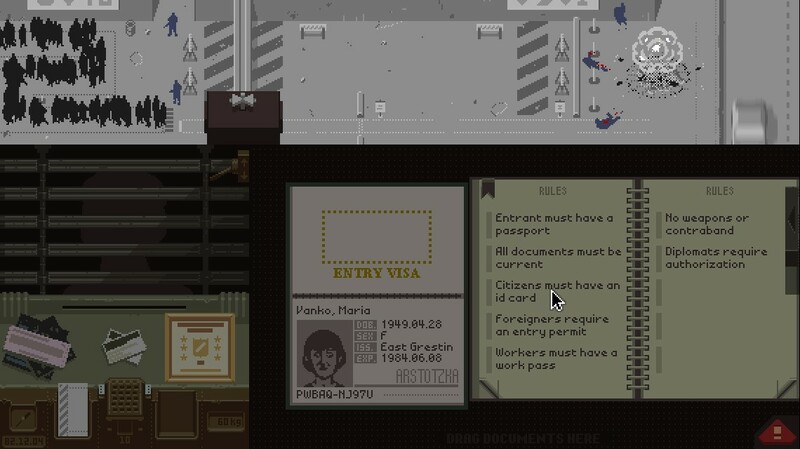 Fortunately this is not impossible, and Toast Time is a brilliant example of how humour, challenging and fast-paced gameplay combined with neat monochromatic graphics can make a successful ported game. It is important to stress, however, that the game may be completed in a few hours, but obtaining three stars in all levels and completing the ironman challenge (finish all levels without dying once) takes significantly longer. It appears as if the developer expects players to be done with everything in around six hours based on the achievement unlocked after roughly six hours gameplay. Players looking for a fun and at times hectic game with challenging gameplay and interesting physics will likely enjoy Toast Time. A press copy was kindly provided for this review. I was super excited back in January when an early-access version of Fancy Skulls from developer tequibo was made available for purchase on respectively the Humble Bundle platform and the IndieGameStand. 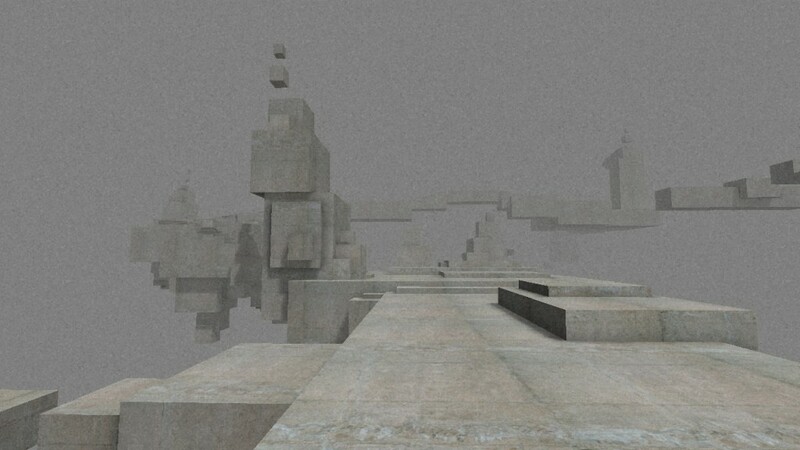 Arguably the game was still work-in-progress back then, but the Unity-based program already had some interesting and unique elements to offer. Recently, back in June, Fancy Skulls was released on Steam as an early-access game after being GreenLit by the community. The latter is especially important to bear in mind as this review is based solely on version 0.7.2, and several elements are thus likely still subjects to change in future updates. However, the accomplishment of being GreenLit and the constant flow of updates throughout many months clearly shows a dedicated developer and a game worth writing about. Fancy Skulls rewards the player for taking their time to aim properly as all enemies have a weak spot. 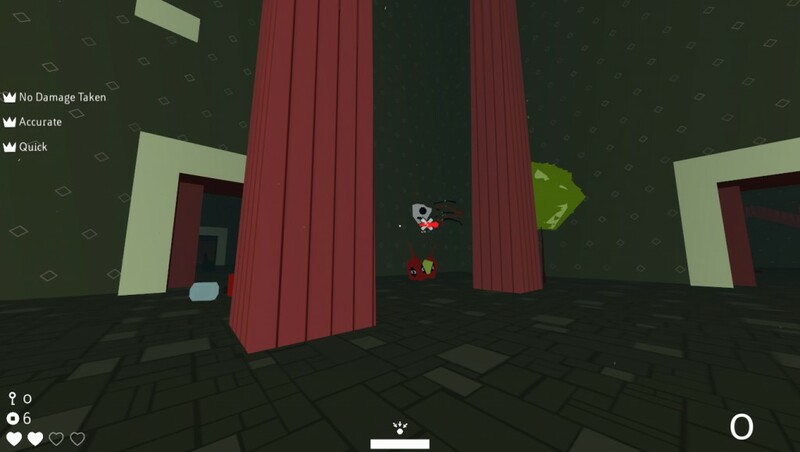 Fancy Skulls is an interesting, roguelike first-person shooter set in a mysterious, surreal and ever dangerous labyrinth inhabited by a range of monster eggs which comes alive as the player triggers the room. 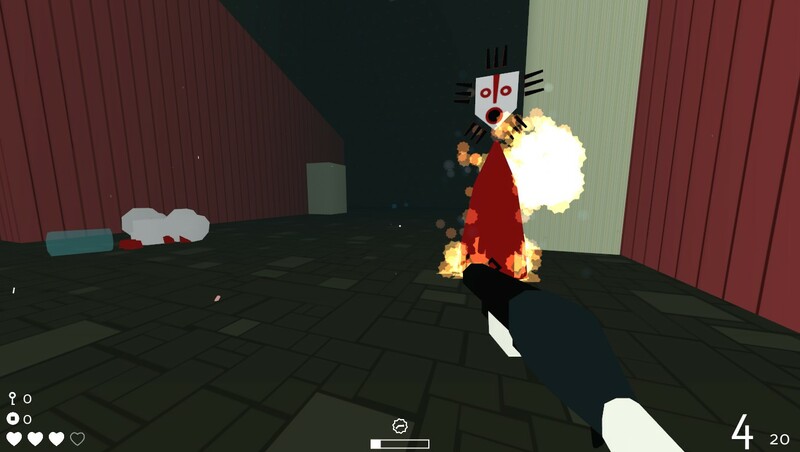 The first thing which strikes the eye is the unique and very abstract graphics – especially the enemies have a very unique and intriguing design, in fact, they stand out as something which you haven’t seen in any game before. Secondly comes the very straightforward and smooth movement (seemingly inspired by games like Unreal Tournament or Quake) and mouse-control – something which is done very likeable for a game created in Unity. Fancy Skull utilizes the standard WASD-controls, but the player will soon discover that movement and time can be altered and changed. An example hereby is a kite, which instantly changes the gameplay significantly by allowing the player to fly. Chests and crates are scattered throughout most rooms, adding a treasure-hunter element. This brings me to the gameplay. Fancy Skulls has one, seemingly simple and straightforward goal; complete level 1-9. Without dying, of course. Though, after the first few deaths completing all nine levels and all rooms without dying suddenly appears quite a challenge. And truth be told, it is. The different enemies requires an individual analysis – does it move, if yes, how and where is its weak spot. The latter is not always as obvious as you’d like it to be – something which ultimately forces the player to position themselves to get a clear shot – an act which needs to be done flawlessly as each room locks down until all enemies are cleared. However, the most important aspect the Fancy Skull’s gameplay is the range of items and upgrades gathered from chest and purchased from stores. The different items furthermore appear very balanced as players are forced to wait for mana regeneration before an item may be used again, and since each item and upgrade is done on the cost of another item or upgrade. Keys, coins or ammo-packs are found in most rooms and/or rewarded upon clearing a room. The stores (or, rather, vendors) – which currency is coins picked up after completing a room or gathered from drops – allows the player to upgrade their weapon(s) as they see fit. I found the standard revolver to be very powerful by sacrificing six-shots to just one (but with all six bullet’s damage in one) and purchasing a no-ammo upgrade – effectively creating a sniper rifle. Upgrading weapons does allow for some strategic gameplay as some upgrades are weak against certain type of enemies while some are powerful against other enemies. A massive difference compared to other similar games is the limited ammunition, required aiming and otherwise strategic planning of weapon upgrades. These elements does all contribute towards making Fancy Skulls truly unique while offering a great replay-ability. One of the many items ignites nearby enemies. 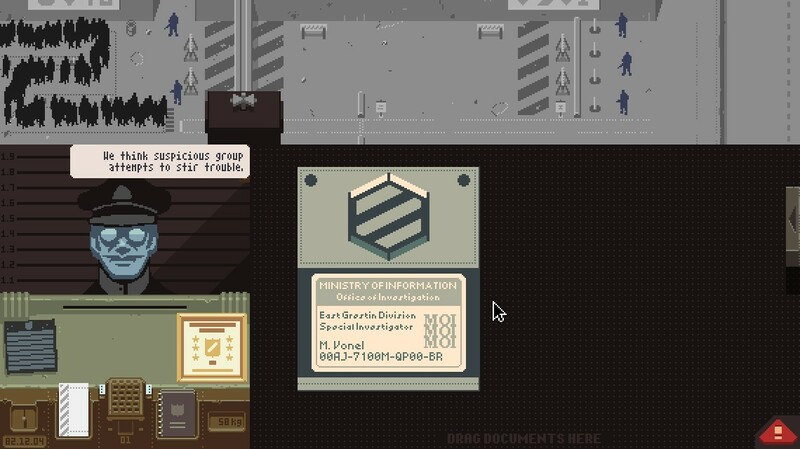 Roguelike games have always been a part of the gaming scene, but only a fair few first person shooters are vaguely fitting the sub-genre’s requirements of permanent death and procedural level generation. Not only is Fancy Skulls one of them, but the game is likely to set a new standard and be an inspiration for new games within this genre – especially considering the fact that the game is still being developed! Fancy Skulls is truly fancy, and it deserves more recognition than it already has achieved. 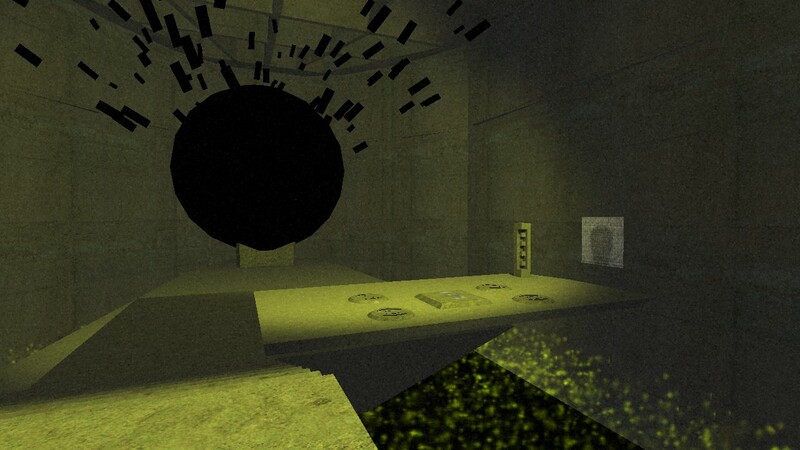 The game is highly recommended with an interesting gameplay, surreal and abstract graphics and hours of re-playability.